Despite growing interest, basic information on methods and models for mathematically analyzing algorithms has rarely been directly accessible to practitioners, researchers, or students. 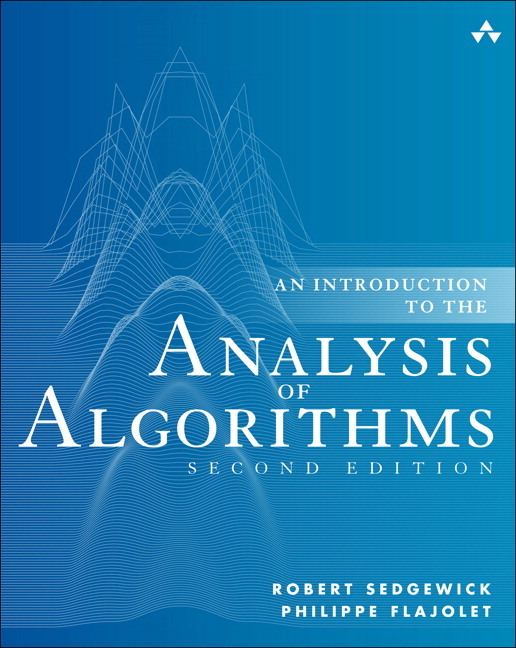 An Introduction to the Analysis of Algorithms, Second Edition, organizes and presents that knowledge, fully introducing primary techniques and results in the field. 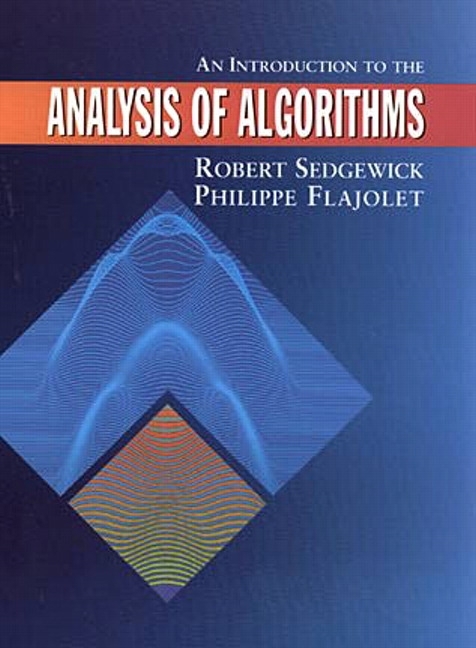 Authors Robert Sedgewick and the late Philippe Flajolet emphasize the mathematics needed to support scientific studies that can serve as the basis for predicting algorithm performance and for comparing different algorithms on the basis of performance. Improvements and additions in this new edition include upgraded figures and code, an all-new chapter introducing analytic combinatorics, and simplified derivations via analytic combinatorics throughout. The book’s thorough, self-contained coverage will help readers appreciate the field’s challenges and prepare them for advanced study. The author makes instructor resources available at http://aofa.cs.princeton.edu/home/. Robert Sedgewick is the William O. Baker Professor of Computer Science at Princeton University, where was founding chair of the computer science department and has been a member of the faculty since 1985. He is a Director of Adobe Systems and has served on the research staffs at Xerox PARC, IDA, and INRIA. He is the coauthor of the landmark introductory book, Algorithms, Fourth Edition. Professor Sedgewick earned his Ph.D from Stanford University under Donald E. Knuth. The late Philippe Flajolet was a Senior Research Director at INRIA, Rocquencourt, where he created and led the ALGO research group. He is celebrated for having opened new lines of research in the analysis of algorithms; having systematized and developed powerful new methods in the field of analytic combinatorics; having solved numerous difficult, open problems; and having lectured on the analysis of algorithms all over the world. Dr. Flajolet was a member of the French Academy of Sciences.